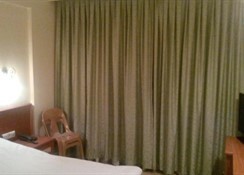 A conveniently located and comfortable hotel that is also good value for money is hard to find. Alanya Beach Hotel offers its guests a cosy atmosphere, comfy rooms, friendly staff and quality service â€“ all within a budget. The hotel features 35 furnished rooms, an outdoor pool, restaurant, terrace bar and a lush green garden area. Located in an ideal place, it is convenient for both tourists and business travelers. Families on a holiday can take advantage of the nearby beach, city center, major attractions and markets. The airport is also easily accessible. 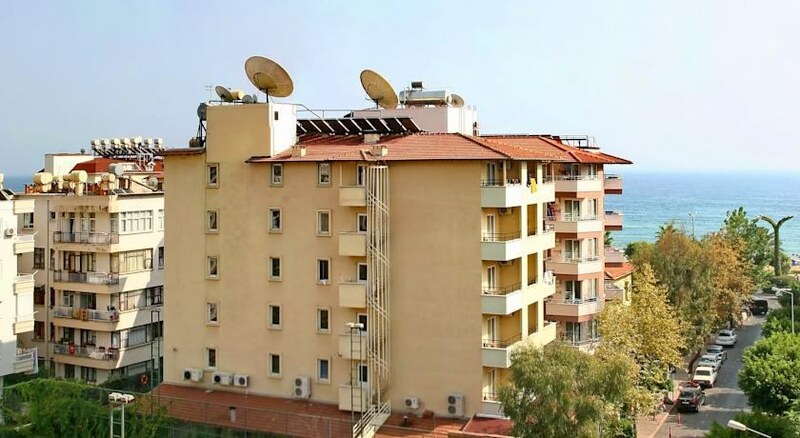 The Alanya Beach Hotel is well-suited for small families on a budget vacation or those travelling to Alanya on a business meeting and looking for cheap and comfortable accommodation. The hotel has an outdoor swimming pool with a mountain view as well as a separate childrenâ€™s pool. You can lay back by the pool, on relaxing loungers, while you sip refreshing drinks. This comfortable, warm and friendly hotel has 35 air-conditioned rooms and 80 beds. 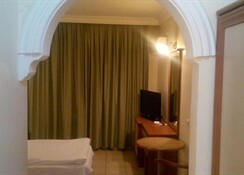 All rooms have a safe box, TV, telephone, mini bar, hair dryer, and a private balcony. The hotel rooms are good value for money and provide all the basic requisites to its guests.Please note: Certain amenities may be payable locally. Relish local and international dishes at the hotelâ€™s a la carte restaurant open throughout the day. Breakfast and dinner are served in a lavish spread of buffet at the living room and the terrace bar serves drinks all day. The Alanya city centre and the beach are both very close to the hotel with the town being 700 metres away and the beach 50 metres away. This prime location of the hotel makes it easily accessible from the international airport and major tourist attractions.